I often have our couples tell me what a pain in the bum it has been for them to work out who is sitting where especially if you have interesting family dynamics or large guest numbers. 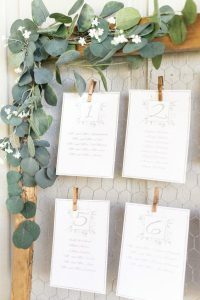 So, this blog is all about how to go about making up your seating plan So if you are having a sit-down reception have a read as to how you can approach the sometimes stressful to do… seating plan. Basically, how RSVP’s work is you send out your RSVP card with your invitations and a due date for people to respond if they are coming or not to your wedding. Making sure you have all the key information on your RSVP Card will save you a painful follow up with guests as the date approaches. It’s really important to make sure you have the due date on there, I recommend about 6 weeks prior as it then gives you time to follow up on guests that haven’t gotten back to you, and yes there are always a few! – Transport required? And another useful thing to include is asking your guests if they would like transport, this means you can confirm numbers for buses taking guests to and from the venue. -Song Requests? We have also had couples ask their guests to request a song which they then pass onto their DJ to put into the playlist. There are lots of ways you can do this and it’s about finding the way that makes you the most comfortable and is the most user-friendly for you. 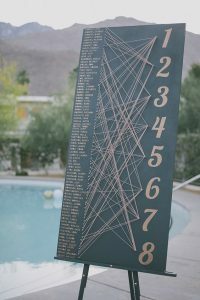 Some people prefer the old school but practical excel spreadsheet to keep their guests’ names all sorted or even using a slideshow or word docs. There are a couple of great ideas of how you can lay this out but I find the old school method is a great starting point. 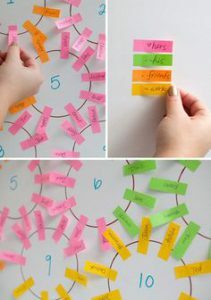 You can literally cut out rectangles or Circles of paper, depending on your table style, then with thin cut up post-it notes jot down your guests’ names on them and start to lay out those names and move them around until you are happy with it. It’s often a bit of an ongoing project if people cancel or new guests are added but is a great starting point. Take a pic of this for your venue or if you prefer you can put this in a more formal spreadsheet. We have aisle planner and our planning clients get access to this which you can find at aisleplanner.com and they have a feature as part of this that is RSVP software and seating chart planning within that, there are also a bunch of apps out there. Some of them you can Import your excel spreadsheet into them as well and they will do floor plans too. Note we are not affiliated with any of these and I recommend you use their free trial to give them a bit of a test to find out which one is best suited to you. Often guests will pop down their dietary requirements on their RSVP form and these need to be clearly labelled for your catering on the seating chart so they are well aware of where those people are sitting. Something as simple as a colour coded chart eg red for vegetarian or blue for nut allergy can be discussed with your caterer in advance how they prefer you get them this information. 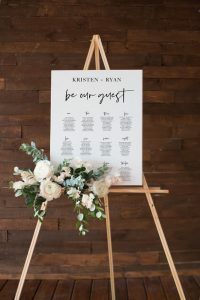 This is another reason why having place cards is really important on the tables, then the caterer can know exactly where those particular guests are sitting. Trust me this can cause havoc for the catering and delays in service if dietary is everything is not really clear. My best tIp is Do Not Have a free for all or no seating chart! Of course, if you have a cocktail canape style you don’t need one but for a seated wedding, guests actually prefer you to be organised and tell them their seat, trust me! What I mean by this is don’t allow your guests to sit where they wish or find their own seat within a table. 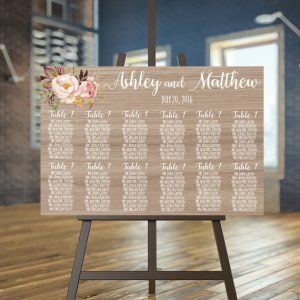 Sometimes couples think it may work by having a seating chart where guests find what table they are on but then can find their own seat within that table. If you are going to the trouble of having a seating chart definitely have a place setting at their location. It can be really awkward and uncomfortable for guests finding a spot within that table and if you are the last one and you don’t get to sit next to your partner, nobody wants to ask everyone to shuffle around especially with a large guest number wedding too! So, my advice is, just do the place settings, it’s a stack easier. 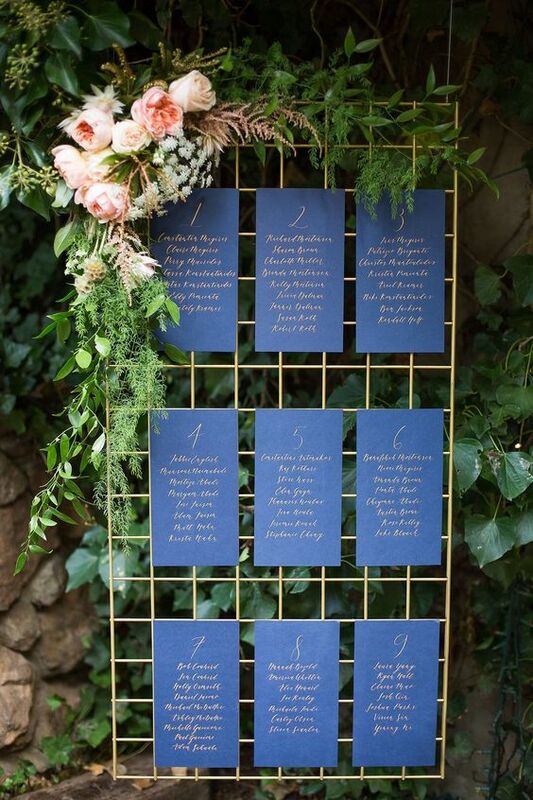 I hope some of these tips have been helpful to kick-start your seating chart journey! You can listen to our Podcast on seating charts by clicking here.